Sierra fuel water separators remove over 99.8% of emulsified water from your gasoline. Sierra's 10 micron filters are over 90% efficient at removing particles as small as 10 microns. All filters flow @ 90 GPH to feed even the hungriest motor. 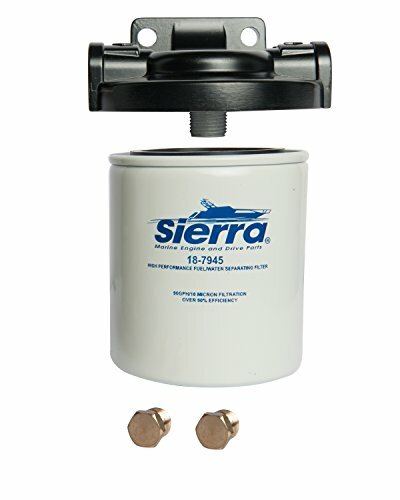 Sierra 10 micron filters are recommended to prevent damage to sensitive inboard, sterndrive and outboard fuel injection systems.